70% off canning label kits! 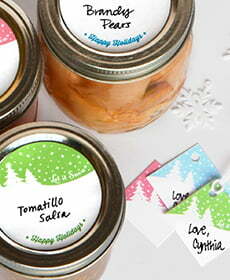 Click on an image below to choose from our selection of pre-printed canning label kits. Labels are ready for you to hand write your contents. 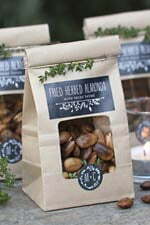 Each kit includes labels, tags and strings — choose between sizes for wide or small mouth jars. Off-the-shelf packages of 12 labels and 12 tags. Choose from three styles and write in your information. Write your message and information on our elegant pre-printed labels and favor tags to create beautiful homemade canning gifts. 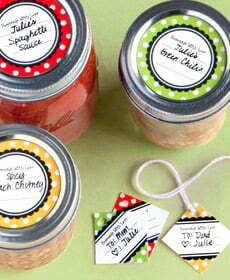 You can get labels that fit on the lids for wide mouth jars or small mouth jars. 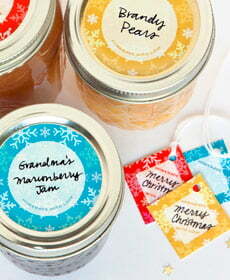 The tags and string tie easily around pint jars, quart jars or small glass jars. You put a lot of effort into harvesting your home-grown fruit or vegetables, preparing jam or your favorite applesauce recipe, then canning the delicious results in mason jars, why not finish for your hard work with beautiful labels and tags? Keep track of what year things were canned with lid labels with the date. To give as a gift, use the included tags to write who it is for and who it is from. Do it yourself, homemade gifts are always appreciated. You will find the ideal label for your jam, jelly, applesauce, tomatoes, pickles, beans, peaches, pears or whatever it is that you want to can. If you are looking for a simple gift for a loved one who enjoys canning, these canning label kits come pre-packaged and ready to give. 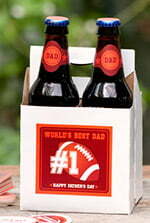 They are a quick and easy gift that will be appreciated.